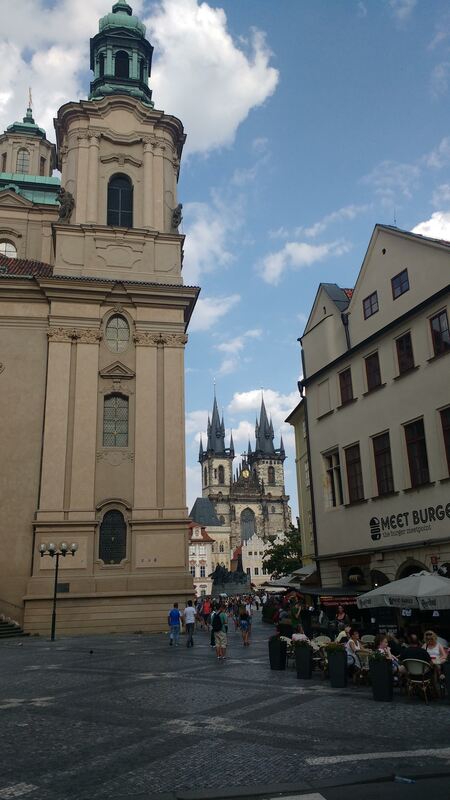 It’s been a bit like smoking: I had tried a couple of weeks without Facebook in Prague in 2014, which was a good practice run for Lent 2016, when turned it off and cut down on Twitter. By the time I saw Jaron Lanier talking about his book Ten Arguments for Deleting Your Social Media Accounts Right Now earlier this year, I barely needed convincing any more. I had already read Lanier’s earlier book Who Owns the Future? and was so impressed by his thinking that I was ready to listen to anything he had to say about social media. I read Ten Arguments in a day, and like someone who’d gone to an Allen Carr session on stopping smoking, I just went straight to my computer and deleted my Twitter and Facebook accounts, and haven’t missed either of them since. Finding your own passions again: Getting off social media leaves you free to find what drives you, when you’re not being constantly driven, poked, nudged, informed, advertised at, and inflamed by thousands of strangers and companies on social media. On the second point, I knew Twitter was winding me up, and making me depressed. When I saw the “on this day…” posts on Facebook, I would be embarrassed at how often my posts were of the “THIS IS DREADFUL!” type, with a link to some worthy and miserable story. [Update in November: after a few months, I realized that even apparently serious journalism now operates in the same manner: look at headlines in the Guardian or Independent, and you see the same attention-grabbing headlines designed to feed pre-existing prejudices of the readership]. I also found that once I had started reading on Twitter on the tube or waiting for a bus, I could barely pick up or concentrate on a book any more. Since leaving, I have rediscovered the joy of reading novels. As for the first, I had convinced myself for a long time that I could never leave Twitter because it was so useful for staying informed. The minute I left, I rediscovered how nice, how different it felt like to do your own research, follow your own nose, or the opposite: just do nothing, and not be inundated with suggestions for articles and books you might read. How lovely not to have to have an opinion on something. From a different perspective, leaving Facebook and Twitter is about no-platforming. I’ve had enough of the hatred, the stupidity, the alt-right keyboard warriors, the journalist (and MP) “provocateurs” making money by stirring up outrage. Enough. All the other reasons Lanier gives were enough in themselves, but it was these two that made the biggest impression on me. There was a third reason for quitting that has nothing to do with Jaron Lanier. It was finding out that Zadie Smith more or less shuns social media and the internet altogether. After I’d finished one of her novels, I noticed that she’d given a credit to SelfControl, an app for blocking the internet on your computer while you work, rather like Freedom, except that so far, SelfControl is free. Zadie Smith is probably the writer I admire most. There is something so perfect about her sentences, both in their formation and their truth. I’d give anything to write like her. It might sound stupid, but I thought, if Zadie Smith can write like that without being on Twitter, then there’s no reason to be on Twitter. I used to say that my reason for staying on Facebook was to stay connected with people, and it’s too useful for work to ditch it. When I look back, Facebook has been instrumental in two jobs in years and years of being on it. In recent weeks, since being off it, I’ve met up with people in real life and had a wonderful time. It didn’t require Facebook, it never did. I’ve also just reconnected (via my contact page on this site) with my best friend from junior school, which has been wonderful. I’ve had a lot of work just by letting people know I’m available. Facebook helps you find and stay connected with people from all around the world. But what then? I only learned the word velleity a couple of years ago (again, thank you Zadie Smith). It means “a wish or inclination not strong enough to lead to action.” I don’t know how I lived without that word until now. It perfectly describes how I feel about cigarettes 10 years or so after giving up smoking. If I ever think about smoking at all now, it’s no more than a velleity. That is the level, I feel, of interaction on Facebook. I glance at people and their lives and go “Uh huh OK, nice” and scroll on. Time after time after time. It’s easy, non-committal, and requires nothing of you. They probably do the same to me. If you do meet, it’s because you discover that by chance, you’re going to be in the same place at the same time. You get out of the habit of making plans to see people that matter to you. I’m delighted to say that many people have used my site to find me, and contacted me using a form such as the one below. If you fill this in, it comes to me as an email. I’ll reply to it! *Footnote: Kathleen Turner, in an interview for Vulture, credits a similar line (but in relation to politics) to the American newspaper columnist Molly Ivins, “over ten years ago” so circa 2008. This entry was posted in Personal and tagged Jaron Lanier, Twitter, Zadie Smith, facebook, social media on August 1, 2018 7:24 pm by Jonathan Still.